If you would like to or need to track your food intake and nutrition, you might be interested in a new innovative Smart Food Scale concept that has launch on Kickstarter this week. 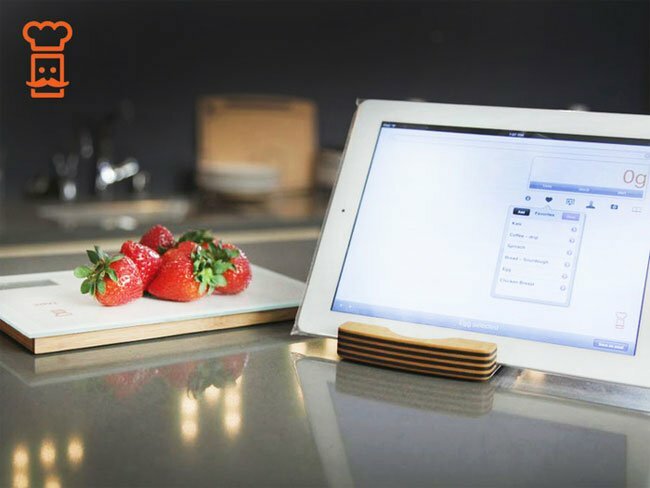 The Smart Food Scale has been designed to connect to Bluetooth enabled iOS devices and use a companion application to record and provide exact nutritional information for the food you are weighing. The Smart Food Scale project is currently over on the Kickstarter website looking to raise enough pledges to make the jump from concept to production, and has currently raised just over $9,000 towards its $30,000 production goal. So if you think Smart Food Scale is something you could benefit from, visit the Kickstarter website now to make a pledge and help Smart Food Scale become a reality.